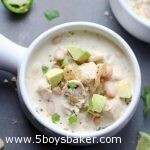 This 30-Minute Creamy White Chicken Chili is the best of the best! So simple to make and incredibly delicious! You won’t be able to stop at one bowl. Recipes that are this simple, delicious and that my boys devour are like gold to me. 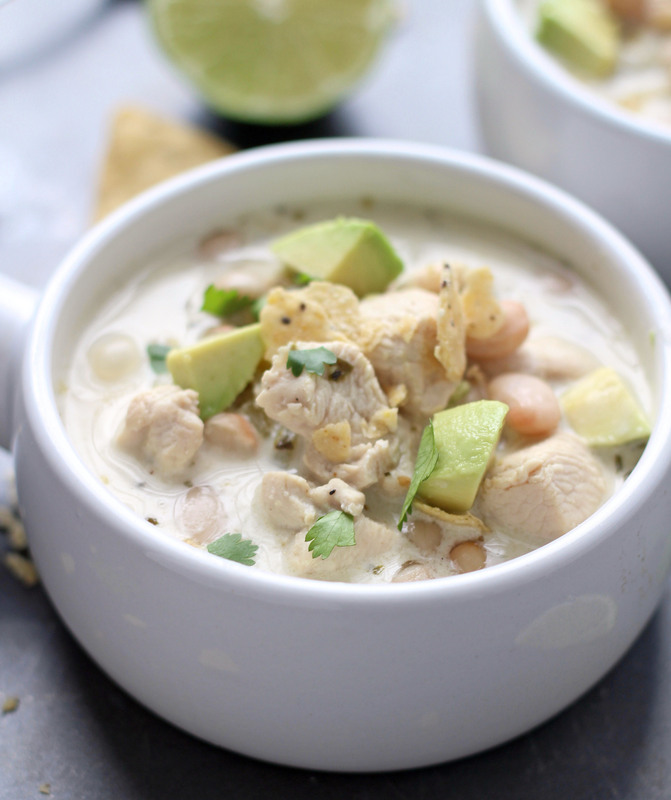 This 30-Minute Creamy White Chicken Chili happens to be one of those golden recipes. I basically knocked it out of the park with this one. I’m surprised none of us were licking our bowls. 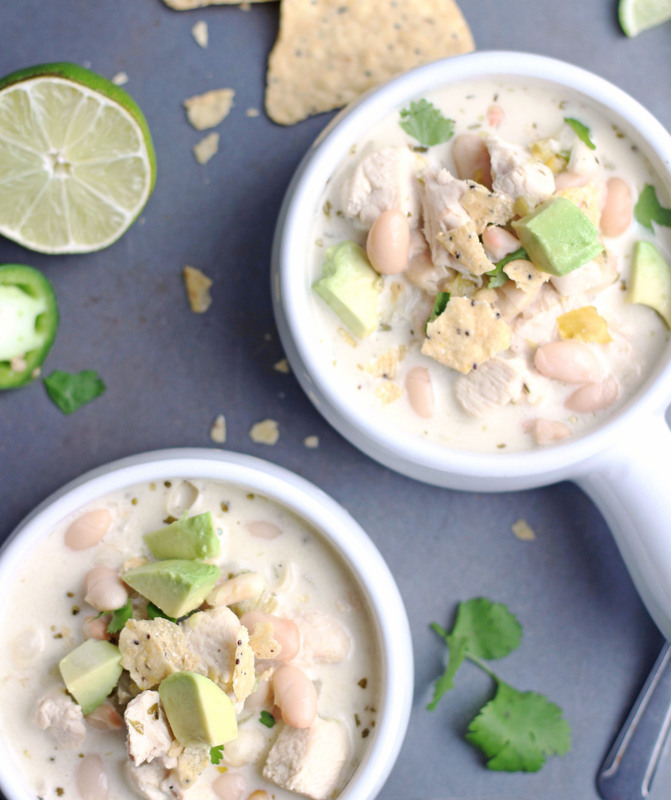 Done in 30 minutes, this soup is so fast and simple to make. If you wanted to make it even quicker, you could certainly use a rotisserie chicken and just sauté the onion, garlic powder and jalapeno first and then add the shredded rotisserie chicken. You could also pre-cook your chicken ahead of time and keep it in the fridge until you’re ready to assemble the soup. Once your chicken is cooked you add the remaining ingredients and it simmers for 20 minutes. Take if off the heat and stir in sour cream and half-n-half. It couldn’t be simpler. 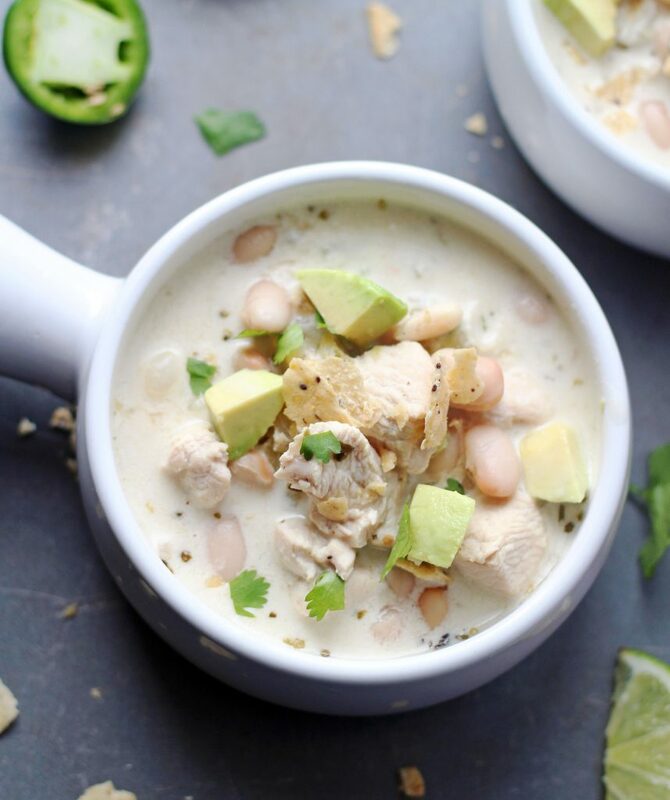 Garnish it with cilantro, tortilla chips and avocado and you have a bowl of the most delicious, comforting, creamy white chicken chili ever. I’m really wanting to do a face plant into that bowl of soup right now. You really need to make this, you won’t be sorry you did, I promise. Add beans, broth, chilies, salt, cumin, oregano, corriander and pepper. Bring to a boil and reduce hit and simmer 20 mins. Remove from heat and add sour cream and half-n-half. Stir until well combined. Serve with fresh cilantro and tortilla chips/strips. SO good! I made this tonight. Thanks for the awesome recipe! Thanks Ella! I’m so happy you loved it! Thanks for leaving a comment. Hopefully we’ll see you soon! This was soooo good and it was so quick and easy to make!!! We love this too! 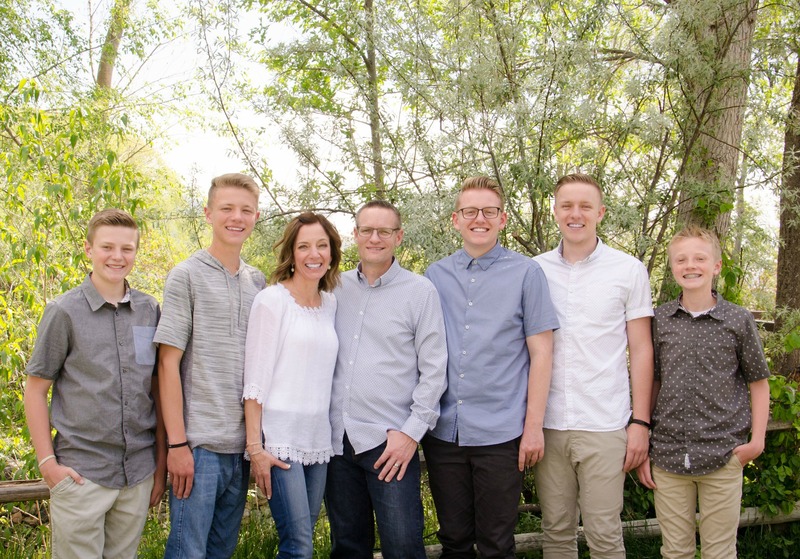 Thanks Shelly!